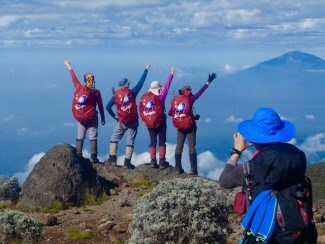 One of the “Seven Summits” the mighty Mount Kilimanjaro is an everlasting magnet for adventurers and mountaineers. Nestled between the border of Kenya and Tanzania, the highest mountain of Africa and highest freestanding mountain in the world lures travellers from all corners of the globe to conquer its magnificence. 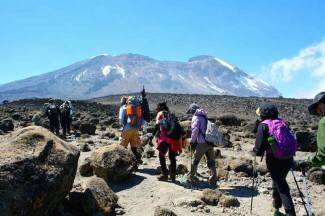 We invite you to come and try Mount Kilimanjaro trekking for yourself. Experience the pride of making it to the top of Kilimanjaro, and the feeling of freedom you get when standing on the top of the world! 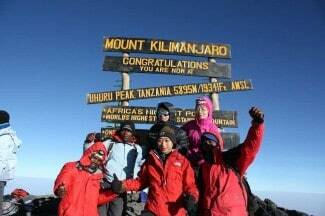 Standing 5,895 metres high, Kilimanjaro is the tallest mountain in Africa and the fourth highest in the world. 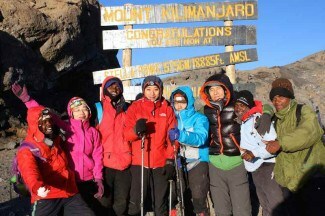 Despite its size it is the easiest and most accessible of the world’s Seven Summits and is triumphed over by hundreds of people who visit Mount Kilimanjaro for trekking each and every year. 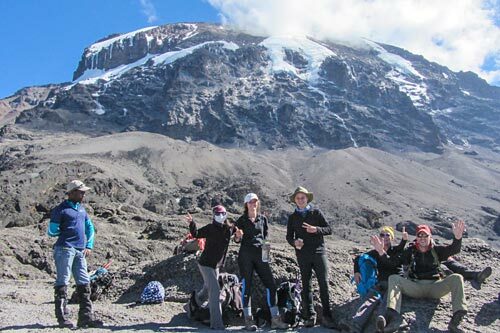 While its size may be intimidating, with training and the all important acclimatisation, this impressive mountain really can be taken on by people of all backgrounds and different fitness levels thanks to the variety of routes that are offered by Viva Africa Tours. You don’t have to be the fittest person in your hometown, or have experience with mountain climbing or advanced trekking to be able to join one of our Mount Kilimanjaro trekking tours, though you must have undergone some fitness training beforehand. Viva Africa Tours is always pleased to spend time discussing with trekkers the 6 different routes that we offer up Kilimanjaro. Spread across 10 different treks, these routes have been designed to appeal to the majority of fitness and experience levels. 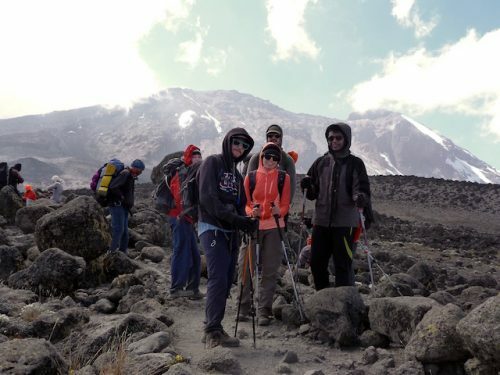 Varying in duration from 5 to 9 days, we’re confident that we have a Mount Kilimanjaro trekking tour that’s suitable for everyone. Each of these treks will allow you to enjoy beautiful vistas and the vastness of the surrounding landscape as well as the chance to view unique wildlife along the way. 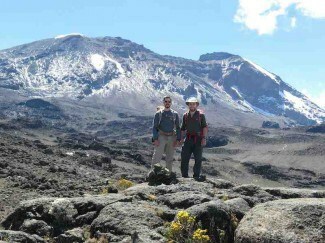 The terrain of Kilimanjaro is very varied and our treks will take you through a variety of different ecosystems. 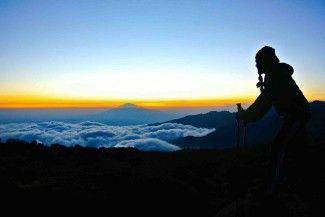 The lower slopes of banana plantations and thick rainforest gradually give way to heath and moorland as we gain altitude until reaching the rocky moonscapes of Kibo Peak. 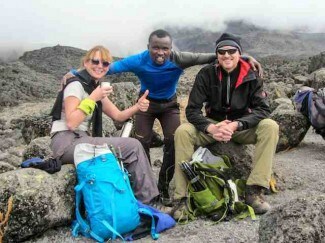 Another reason why Mount Kilimanjaro trekking is so popular is that this mountain can be climbed all year round. Its location, close to the equator, means that you won’t find the typical four seasons that you may be used to at home. There are only two seasons here: rainy and dry season. 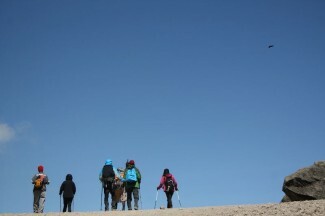 While trekking is possible throughout the year, the rainy seasons, from March to May and again from November to December, are not the ideal times to conquer this mountain. 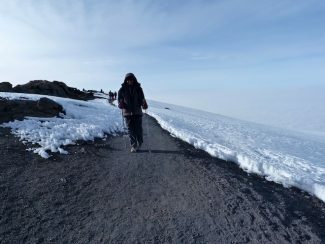 Paths to the summit can be slippery so any trekkers should be well prepared with the proper equipment. 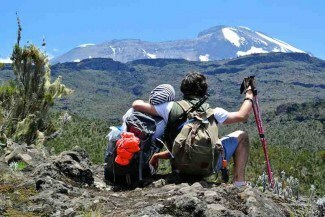 The best months for Mount Kilimanjaro trekking are August and September, and January and February.